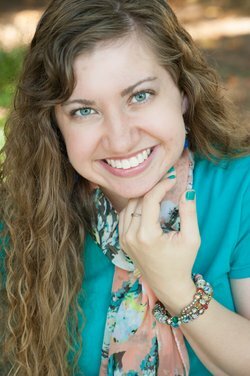 Jody Hedlund’s Luther and Katharina: A Novel of Love and Rebellion is one of those books that sheds light on the differences between the Catholic and Protestant faiths–always a plus for me since I love to learn about the Christian faith. I found Hedlund’s first historical a compelling and intriguing read because the author, who well known for her talent in infusing historical research into her novels, blended so many elements into her prose that I fell seamlessly into the story. From the emotionally driven Martin Luther and Katharina von Bora, to the tension and pain of the German people, to the politically charged reasoning of the princes and peasants, Hedlund covered every aspect of the story to make it come alive. Each time I read one of Hedlund’s novels I am more impressed with her talent at the craft of writing; with Luther and Katharina my admiration grew tenfold because this period of Protestant Reformation in Germany was dark, dangerous, and filled with perilous situations ended in death or destruction. The sixteenth century at times is not easy to read about, and I’m sure it is not always easy for authors to fictionally create, as well. Hedlund covers these aspects of Luther and Katharina with grace. Physical and emotional pain are not glossed over, but the subjects are not glorified either. There is a realism to this novel that brought me into the story because Hedlund was honest in her portrayal of Luther and Katharina’s situations. Martin Luther and Katharina von Bora are challenging and engaging characters in Hedlund’s novel. Both are stubborn, proud, tenacious, and determined. These traits in one person around enough to frustrate another; blend them into two people, and it is no wonder Luther and Katharina’s love story is one for the books. Despite the historical significance of their relationship to the Protestant Reformation, I never warmed to either character, which accounted for my average (compared to my usual quick) reading time of this book. I admit that Luther had his share of unfortunate situations in life, and in no way am I delineating his physical and emotional burdens in leading the Reformation. However, the burdens he carried, in my opinion, never accounted for his behavior towards Katharina, so I just could not justify his actions at any time in the book. As for his nun-turned-wife, I felt slightly better about her point of views towards Luther, especially as the story moved farther along. Katharina dealt with quite a lot throughout her life; while I never really liked her as a character, I saw a growth and maturation in her mindset and her behavior that made it easier to empathize and sympathize with her. Please note when considering my rating and review of this book that my opinions of the characters have very little to do with the author’s ability to create compelling characters. Since Hedlund based both Luther and Katharina on their real-life counterparts, she had little room to maneuver their likability. Jody Hedlund’s Luther and Katharina is an inspired first historical. While this novel is not my favorite of hers (that remains Hearts Made Whole), I am definitely glad to have read Luther and Katharina for a lesson in Protestant Reformation history. 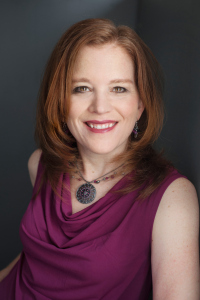 This author truly has a gift for crafting well-written historical fiction. I am looking forward to her future historicals that will undoubtedly continue to bring women in history to life. 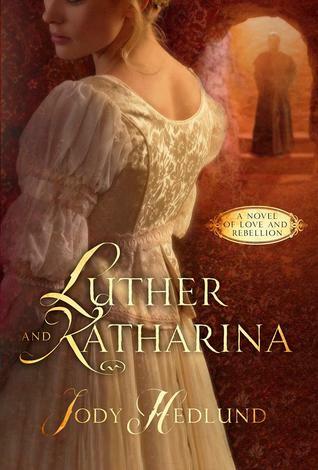 WaterBrook Mulnomah is graciously giving away two copies of Luther and Katharina to visitors of my blog. 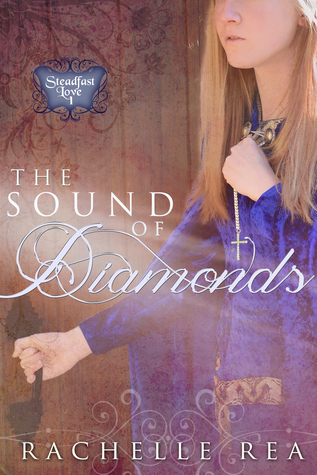 Tell me why you’d like to read this book and why you think you’ll enjoy Luther and Katharina. The winner will be chosen on Monday, October 12th, 10:00AM EST. Please leave your name and email address, along with your answer, in a comment below. I will email you if you have been chosen as a winner. Good luck!